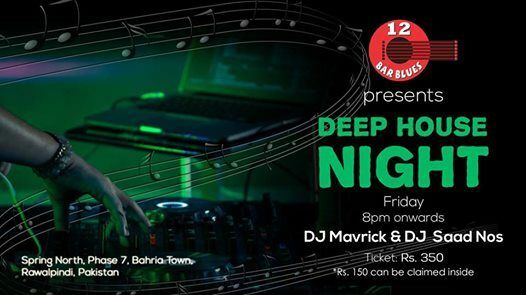 Are you ready for a Fun-Filled Musical Night?? 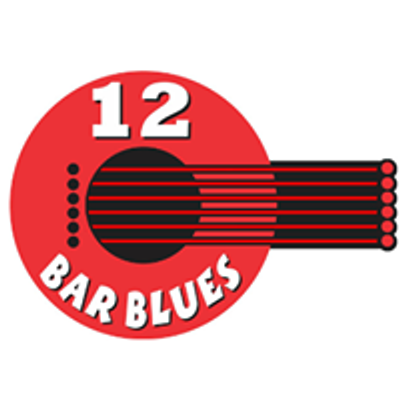 Want to eat with the beat? 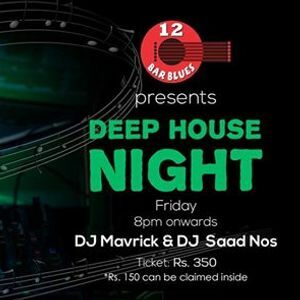 Let's get together every FRIDAY at 12 Bar Blues, to enjoy Deep House Night by DJ Maverick and DJ Saad Nos! *Rs. 150 can be claimed inside.